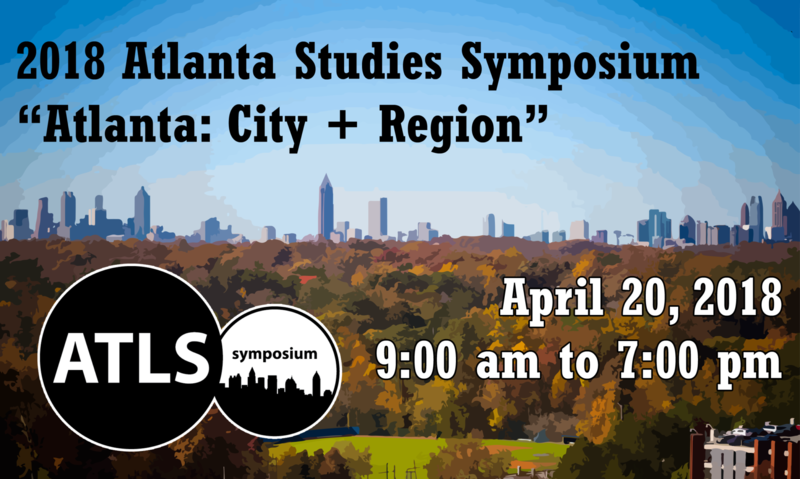 Each spring the Atlanta Studies Network hosts an annual symposium that tackles the social, cultural, environmental, and economic issues facing Atlanta. Past symposia have been hosted by Emory University, Georgia State University, the Georgia Institute of Technology and the Robert W. Woodruff Library of the Atlanta University Center. 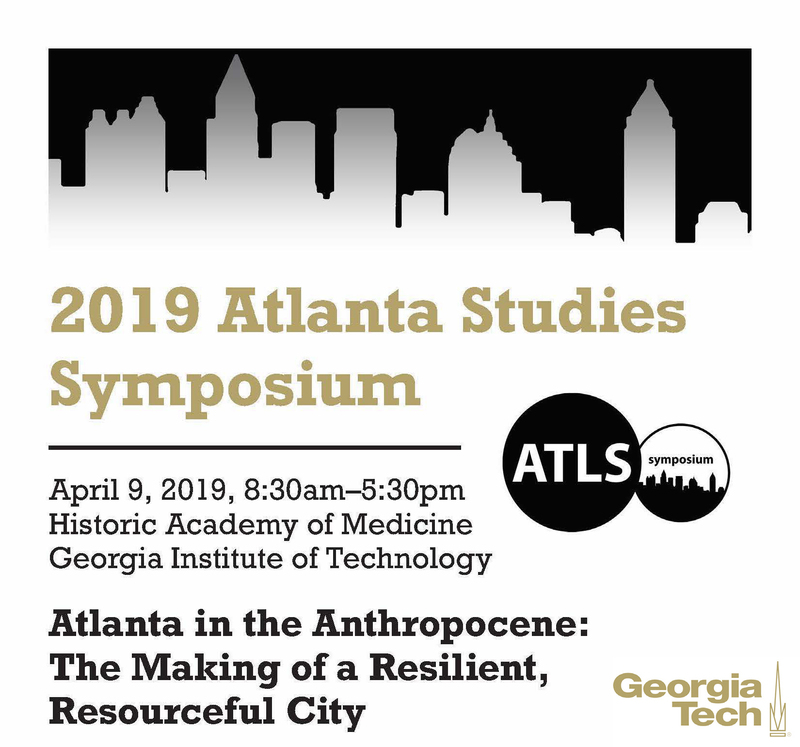 The Seventh Annual Atlanta Studies Symposium was held on April 9, 2019 at The Historic Academy of Medicine and was hosted by the Georgia Tech School of City and Regional Planning. 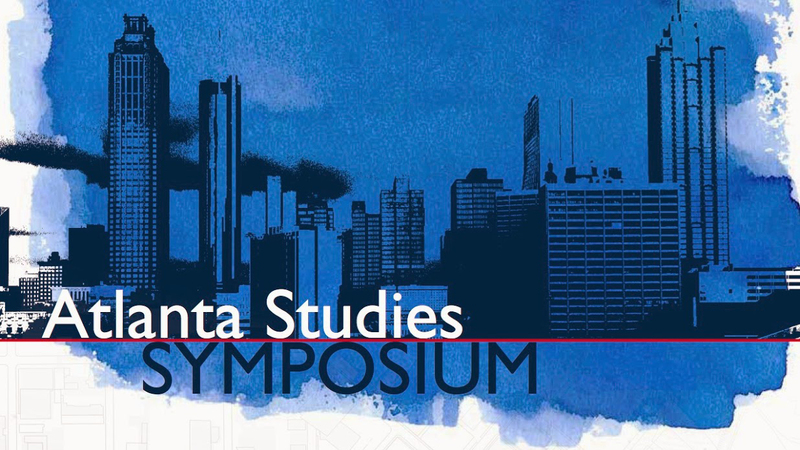 The program for the 2019 Atlanta Studies Symposium can be viewed here. The Call For Proposals for the Symposium can be viewed here. The Sixth Annual Atlanta Studies Symposium was held on April 20, 2018 at Emory University’s Woodruff Library. Professor Ellen Dunham-Jones delivered the Cliff Kuhn Memorial Keynote Lecture, titled “Retrofitting Suburban Atlanta in Response to Changing Demographics and Desires,” which you can view here. The program for the 2018 Atlanta Studies Symposium can be viewed here. The Fifth Annual Atlanta Studies Symposium was held on April 26, 2017 at Woodruff Library of the Atlanta University Center. The program for the 2017 Atlanta Studies Symposium can be viewed here. The Fourth Annual Atlanta Studies Symposium was held on May 11, 2016 at Georgia State University’s Centennial Hall at 100 Auburn Avenue. The program for the 2016 Atlanta Studies Symposium can be viewed here. The Third Annual Atlanta Studies Symposium was held on May 6, 2015 at The Historic Academy of Medicine and was hosted by the Georgia Tech School of City and Regional Planning. The program for the 2015 Atlanta Studies Symposium can be viewed here. The Second Annual Atlanta Studies Symposium was held on April 4, 2014 at 100 Auburn Avenue, a newly renovated facility on the campus of Georgia State University in the heart of downtown Atlanta. The program for the 2014 Atlanta Studies Symposium can be viewed here. The First Annual Atlanta Studies Symposium was held April 26, 2013 at Emory University’s Digital Scholarship Commons. Dr. Katherine Hankins delivered the opening keynote “Mobilities and Mobilizations in the City That’s Too Busy” and Dr. Zephyr Frank delivered the closing keynote “A Spatial History of Rio de Janeiro: Bridging the Micro-Macro Divide with Historical GIS,” which you can view here. The program for the 2013 Atlanta Studies Symposium can be viewed here.